Julijana Georgievaska and Catherine Bauer are middle school teachers. Today, they have brought their students together for a joint class that will begin with a reading of Langston Hughes’ poem, Youth. “Okay, great. I love it,” confirms Julijana. The students open their books and begin. The reading goes off without a hitch and spontaneous clapping and laughter follow. Above the applause, Julijana’s excitement is heard. “Ooo! I love it!” she says. Everyone is pleased, and for good reason. The joint reading marks a sort of ribbon-cutting—an inauguration of a nine-month virtual exchange between Julijana’s class in Bistrica, Macedonia and Catherine’s in Pensacola, Florida. The project, officially called The Dreams and Friendship Exchange, is funded by the U.S. Embassy in Macedonia and is designed to “[allow] students [in rural Macedonia] to embark on an e-journey to America to examine the influences that America’s multiethnic population has on its values, culture, and language.” The project is a year-long, comprehensive learning experience for the students and is a collaboration between Julijana, Ann Tran, the embassy’s Youth Outreach and Education Coordinator, and Borka Taneska, Cultural Affairs Assistant. Each month of the school year, the groups in Macedonia and America will explore a new theme to help facilitate intercultural dialogue. The themes begin with topics such as My School, My Community, and My Country, and build to more abstract concepts like My Rights and My Dreams. During the course of each month, students will interact with each other via a private social media site and online classes. The group in Macedonia will also be responsible for creating video podcasts, digital presentations, and content for this blog, documenting the progress of and insights gained from their transatlantic friendships. So far, despite the 5,500-mile physical gap, these friendships are developing like many others: with a recognition of shared interests and hobbies. 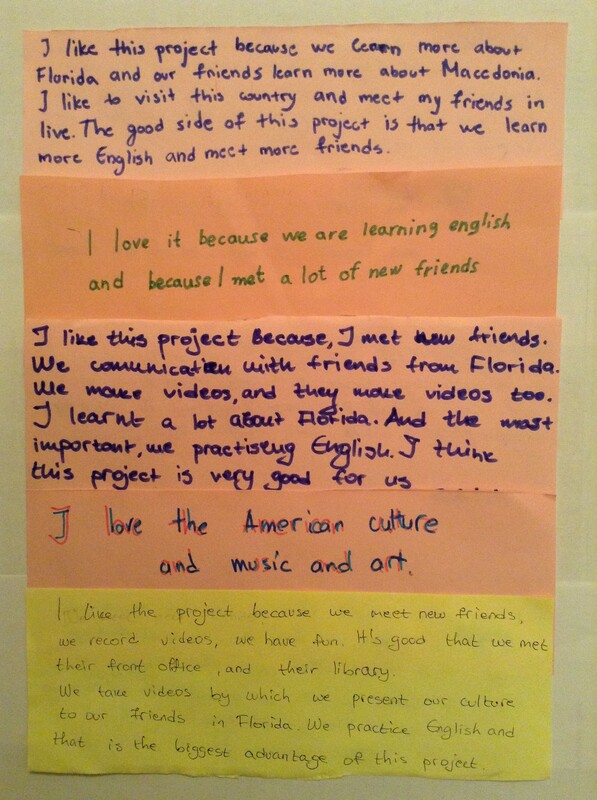 When students are asked what excites them about the project, common responses include learning more about American culture, sharing the culture of Macedonia, practicing English, and meeting new friends. 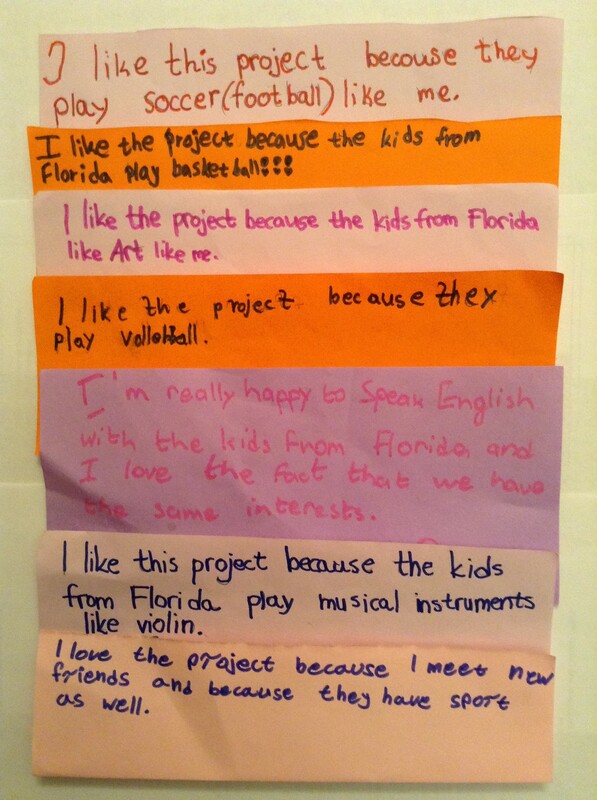 Another aspect of the project students are enthusiastic about is that, through the process of building friendships and learning about a different culture, they will be introduced to new forms of artistic expression and given an opportunity to publish their writing and art online. 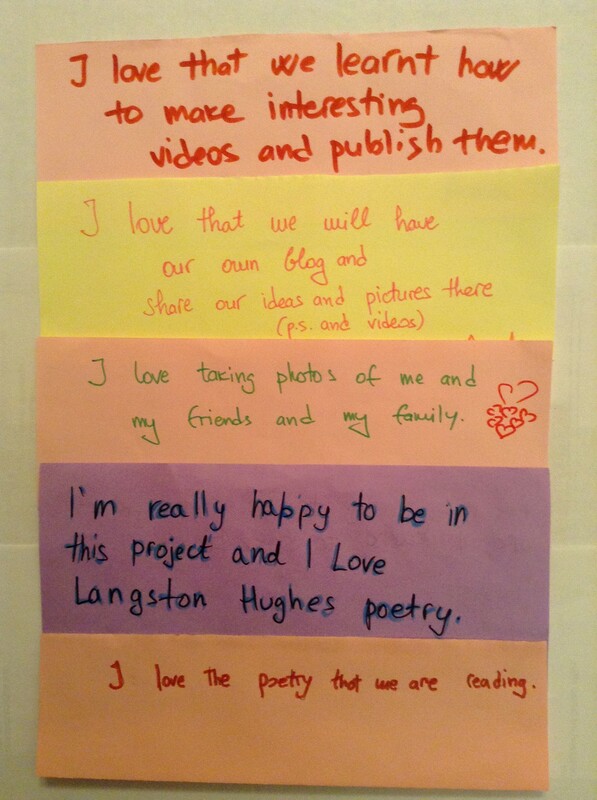 Towards the end of the project, students will have an additional opportunity to share their work publicly by contributing to The Dream Flag Project, a 2003 American initiative inspired by the poetry of Langston Hughes and the tradition of Nepalese Buddhist prayer flags. After monthly study of Hughes’ poems—like the one that began today’s online class—the Dreams and Friendships participants in Macedonia will write their own dream poems and present them on cloth flags to The Dream Flag Project, their Florida friends, and the American Ambassador. Writing as an American who has abandoned blagodaram for the much easier to pronounce colloquialism fala, the applause is well deserved.